With 52,000 employees operating in 24 countries, International Paper has evolved since its inception more than a century ago into one of the world’s leading producers of fiber-based packaging, pulp, and paper. 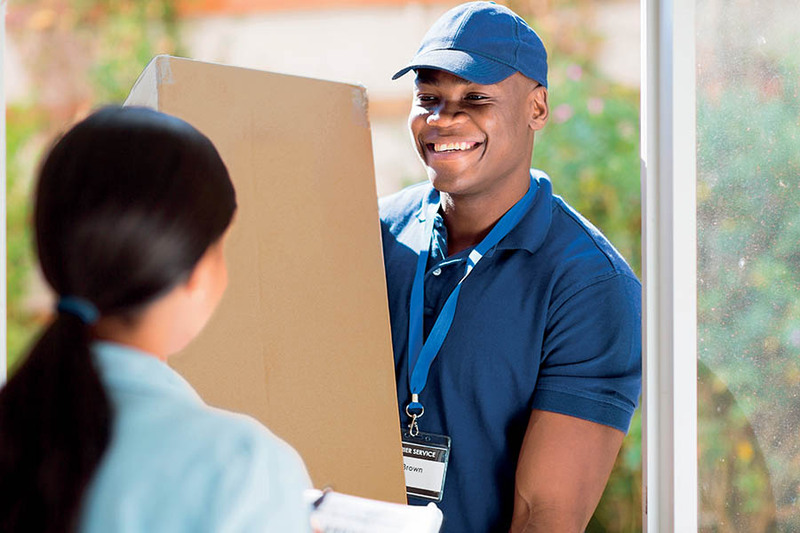 Their employees are proud to be creating packaging products that protect and promote goods, enable worldwide commerce and keep consumers safe; pulp for diapers, tissue, and other personal hygiene products that promote health and wellness; and papers that facilitate education and communication. In 2016, the company introduced a strategic framework called The IP Way Forward for pursuing their vision — to be among the most successful, sustainable, and responsible companies in the world. The IP Way Forward includes five strategic drivers that guide the company: Sustaining Forest, Investing in People, Improving the Planet, Creating Innovative Products, and Delivering Inspired Performance. While the company has evolved over the past 120 years, they remain true to their mission – to improve people’s lives, the planet, and the company’s performance by transforming renewable resources into products that people depend on every day. International Paper was born with the merger of 17 pulp and paper mills in the northeastern United States. It owes its existence in large measure to the search for new approaches that were necessary if the industry was to meet the challenges of the twentieth century. Management recognized the fact that a broader economic base and lower costs were the best road to security and stability. The 17 paper mills in Maine, Massachusetts, New Hampshire, Vermont, and northern New York were brought together to form International Paper on January 31, 1898.
International Paper moved its operating headquarters from Purchase, New York to Memphis in 1987. Memphis was closer in proximity to its expanding softwood fiber-manufacturing footprint. Softwood fiber, which is strong and absorbent, is used in Global Cellulose Fiber and Industrial Packaging businesses, and is found in the southern region of the United States. IP made a number of strategic acquisitions and divestiture to strengthen the company and adapt to changing consumer needs. 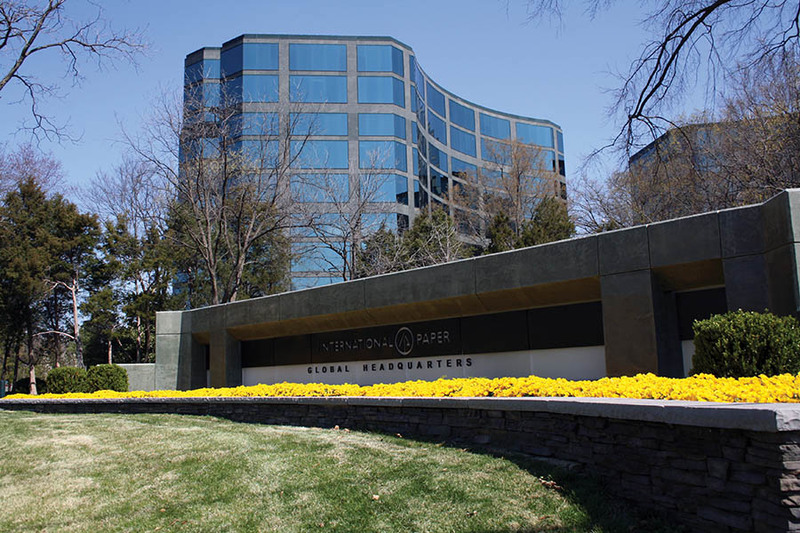 From its global headquarters in the Bluff City, International Paper now serves markets across the globe from offices in more than two dozen countries. Their three global businesses — industrial packaging, global cellulose fibers, and papers — are well positioned to create advantaged positions serving attractive markets, and to create value for current and future customers and shareowners. International Paper is one of the world’s premier manufacturers of containerboard and corrugated packaging. Approximately 70 percent of sales revenue is generated by this business segment. Its containerboard mills, box plants, and converting operations across the globe allow IP to sustainably meet its customers most challenging sales, shipping, storage, and display requirements. The company also manufactures and sells high-quality folding boxboard and liquid packaging board from its Kwidzyn, Poland paper mill to European customers in a variety of market segments. As part of its sustainable business model, IP recovers, processes, and sells several million tons of recovered fiber annually. International Paper’s Cellulose Fibers business is a premier producer of fluff pulp for absorbent hygiene products like baby diapers, feminine care, adult incontinence, and other non-woven products, as well as pulp used for tissue and paper products. The company’s innovative, specialty pulps are used for non-absorbent end uses including textiles, filtration, construction material, paints and coatings, reinforced plastics, and more. Cellulose Fibers is the company’s most innovative and fastest growing business. International Paper is one of the world’s largest manufacturers of uncoated freesheet. IP’s global Papers businesses manufacture a wide variety of uncoated papers for commercial printing, imaging, and converting segments. Customers rely on our signature brands including Accent®, Chamex®, Hammermill®, POL™, PRO-DESIGN® and REY® to educate, communicate, and advertise. Their Papers business is positioned to thrive in regions of the world where demand is growing, and to create value through innovation in more challenging markets. International Paper takes great pride in its commitment to the sustainability of the company and its communities. IP continues to tackle the toughest issues in its value chain. Through these efforts, the company increased the volume of third-party certified fiber; reduced fiber losses in its processes; increased the collection of recovered fiber; advanced its water stewardship efforts; and reduced greenhouse gas and other air emissions. In line with its green energy business model, they continue to minimize the use of fossil fuels by generating nearly 75 percent of the energy used in IP’s mills from renewable carbon neutral biomass residuals. International Paper understands that the company’s entire business depends upon the sustainability of forests. Pursuant to that goal, IP has pledged to continue its leadership role in responsible forest stewardship to ensure healthy and productive forest ecosystems for generations to come. Since 2013, IP has invested more than $9.5 million in Forestland Stewards, a partnership with the National Fish and Wildlife Foundation aimed at protecting and enhancing ecologically significant forestland in the United States. That investment generated more than $24 million in matching funds, for a total conservation impact of $34 million. The company has pledged an additional $10 million over the next five years to this partnership. As the world becomes increasingly complex and resource constrained, International Paper continues to seek sustainable solutions and opportunities to make the greatest impact. IP’s sustainability impact reaches beyond helping companies throughout its value chain to improve their sustainability footprint. International Paper’s alignment with global efforts is making a difference. International Paper is committed to keeping people safe and to having a positive impact in the communities where they live and work. Safety is a core value at International Paper. Advances in training, better prevention methods, layers of protection, and a culture of caring have reduced serious injuries significantly. While its progress has been steadfast – IP recognizes that safety is an every day, every job, every person commitment that never ends. The company remains focused on achieving a sustainable injury-free workplace. The company’s global community engagement efforts include grants, financial contributions, volunteer opportunities, and product donations focused on addressing four Signature Causes: Education, Hunger, Health and Wellness, and Disaster Relief. IP’s overall efforts address critical needs that have positive impacts today and for future generations. FORTUNE magazine named International Paper as one of the “World’s Most Admired Companies®”in 2018 for the 15th year. Ethisphere Institute’s “World’s Most Ethical Companies®” 2018. International Paper made the list for the 12th year in a row. International Paper has been honored by Institutional Investor for 12 consecutive years and in 2018 was named its “Most Honored Company” in the Paper & Packaging sector. Computerworld named International Paper as one of its “Best Places to Work in IT 2018.” International Paper has made the list for nine consecutive years. The global team is committed to continuously strengthening people and local communities, using resources responsibly and efficiently and ensuring its businesses are safe, successful, and sustainable for generations to come. 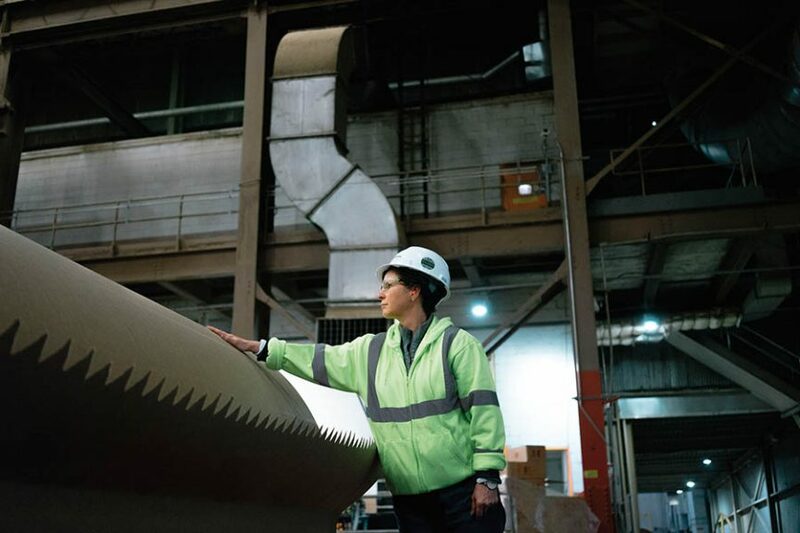 International Paper’s focus includes being a trusted supplier that customers can depend on, a valued investment for shareowners, a force for good in its industry and communities, and a company where people are proud to work.